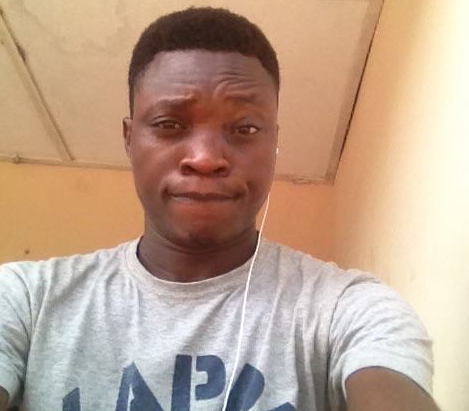 Do you have any of the Samsung S10 series? hmm Samsung has decided to allow any Galaxy S10 buyers to enjoy free four months free YouTube Premium service. Do you think it's a small offer? meanwhile Samsung has earlier announced it plan giving six months free spotify premium to the buyers. And looking at it now it's going to be second offer rolling out to the Galaxy S10 buyers, however i'm sure we all know the normal price for the YouTube premium service '$11.99' so saving this amount for four months will go very long way. 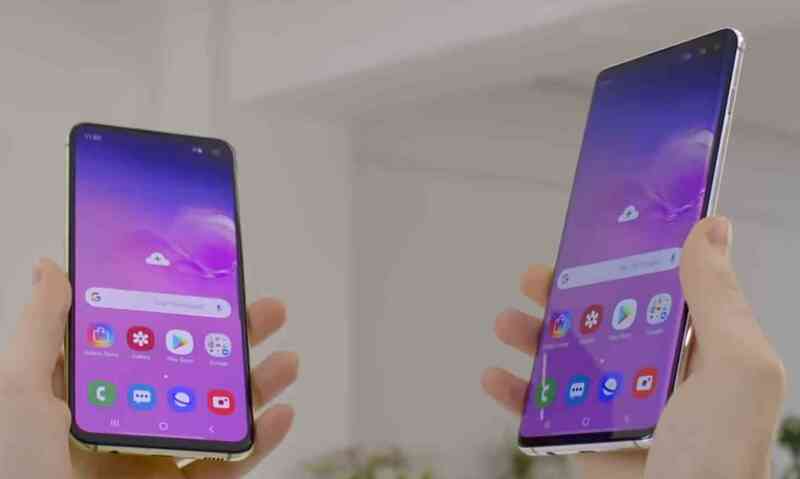 To my surprise this offer isn't only available to Galaxy S10 alone Samsung also extend it kindness to those that will love to buy any of the Galaxy device before February 29, 2020 to enjoy two months of YouTube Premium for free, and also available to the expected Samsung Galaxy Fold and Samsung Galaxy Tab S5e. what a great offer? 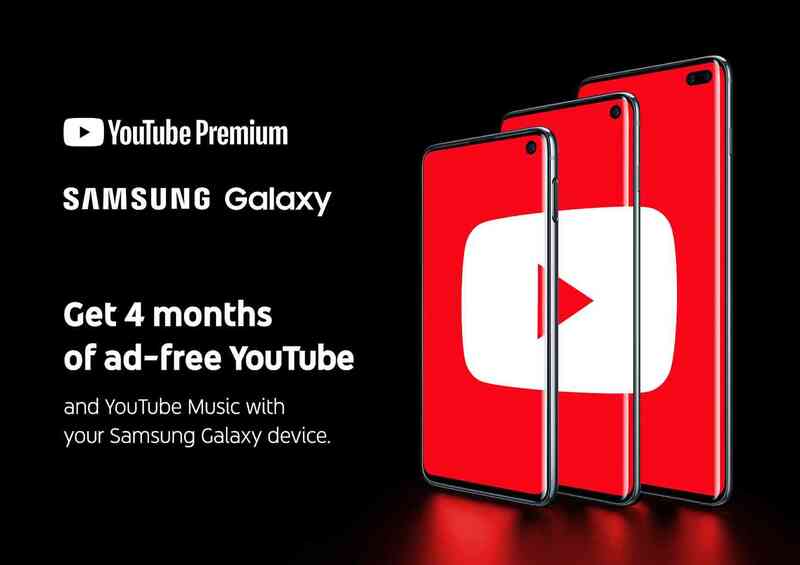 Kudos to Samsung for this great offer for free YouTube premium service, you'd going enjoy ad-free YouTube, the ability to download YouTube videos for offline playback, and background playback of YouTube videos. You also get access to YouTube Originals movies and shows, ad-free playback in the YouTube Kids and YouTube Gaming apps. YouTube Music is included as well, getting your ad-free music, offline listening, and background playback. Rounding out the YouTube Premium benefits is Google Play Music streaming. I'm not sure you know what you're to enjoy, hurry now if you are thinking of which phone to buy why don't you consider Galaxy S10, this offer is available to the United States, Australia, Austria, Belgium, Brazil, Canada (excluding Quebec), Chile, Colombia, Denmark, Finland, France, Germany, Ireland, Italy, Japan, Luxembourg, Mexico, Netherlands, New Zealand, Norway, Peru, Portugal, Russia, South Korea, Spain, Sweden, Switzerland, Ukraine, and the United Kingdom. Don't wait for your friend to tell you the experience, you can still grab the offer later if at all you miss six month free spotify premium service and four months free YouTube Premium service then you can still pick up any Galaxy device before the offer ends to enjoy two months YouTube offer. Click here to redeem your offer.